It’s not a New Years Resolution, but making the completion of this list an annual January habit will set your year on the right track to help you avoid costly, frustrating, or time consuming misses. Most online sources give you one annual check for no charge. Do your homework first to understand what the score means, what action you need to take if you think there are mistakes, and how to keep track of the report. Review your monthly budget for the year as well. Check your drivers license and make sure it doesn’t expire within the year, and that all information is current. Take action early to make corrections and avoid unnecessary fines and fees. Check your vehicles license plate tags and insurance cards. Make sure they’re current and that you know when they are due to renew. Check your credit/debit card(s) for expiration dates to assure any auto pay items associated with them are not interrupted. Also, assure any accounts that have automatic renewal to them (clubs, memberships, magazines, etc.) that you do not want to renew are contacted and cancelled. Vote from home, easily, and on time. A request for absentee ballots that cover all elections in the current year are available online. See sample here. Mail to the elections office and they will send your ballot in the mail prior to each election. Note: this must be redone every calendar year. Go to kcgov.us > elections > absentee ballot. Summer camp registrations, schools, scholarships, sports teams, tournaments, and any other activities that have limited space and requirements to register in advance. 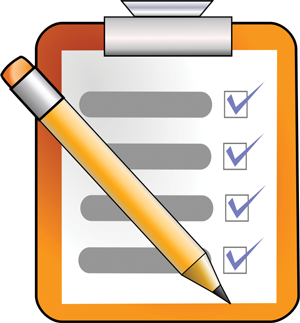 Make a check list of dates your entire family is due for appointments and schedule them at one time (when possible). Avoid missing a dental check up, mammogram, or childhood immunization appointments. A year can go by quickly! Make note and plans for upcoming holidays, special birthdays, or graduations to avoid being caught unprepared when the occasion arrives. Idaho Counties – Did Ya Know?